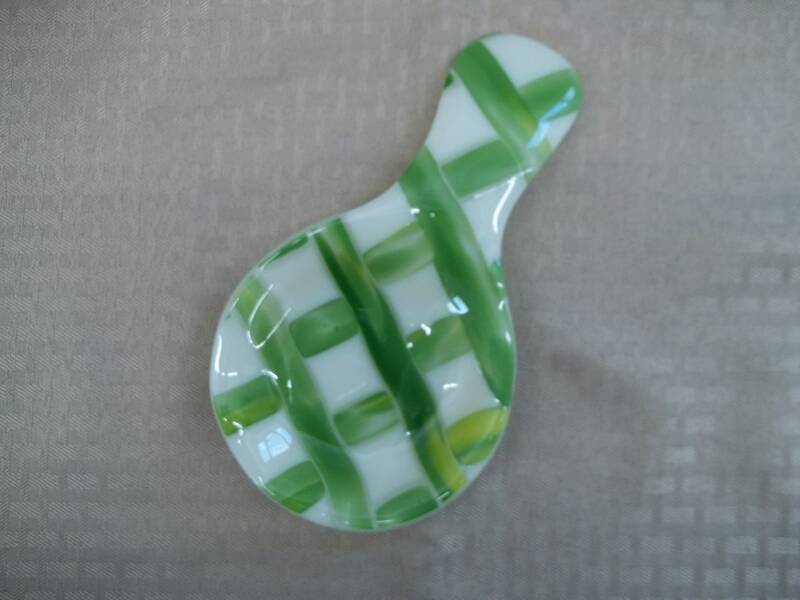 Handcrafted and fused in a kiln this spoon rest will fit nicely on your stove. 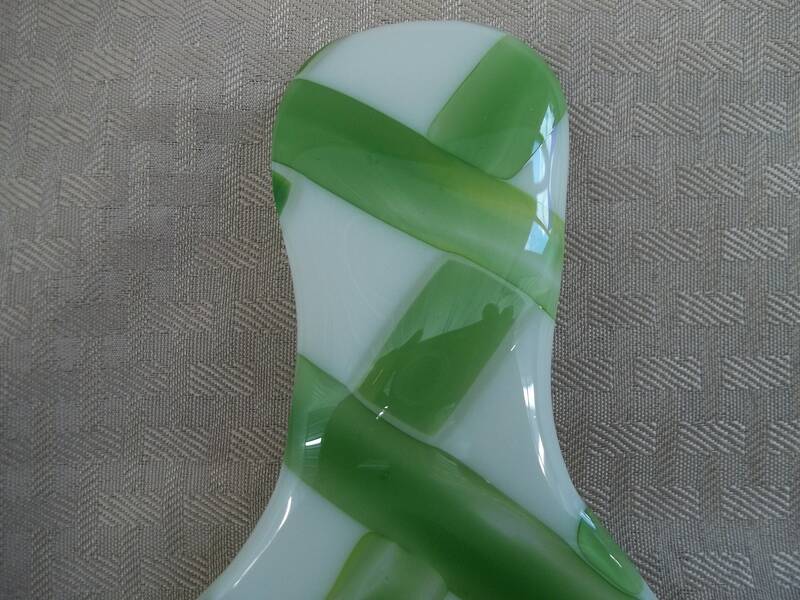 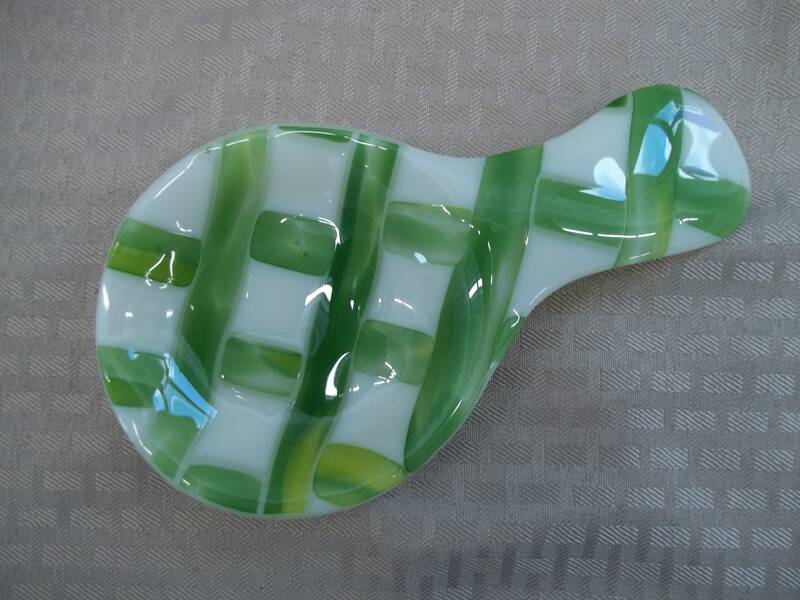 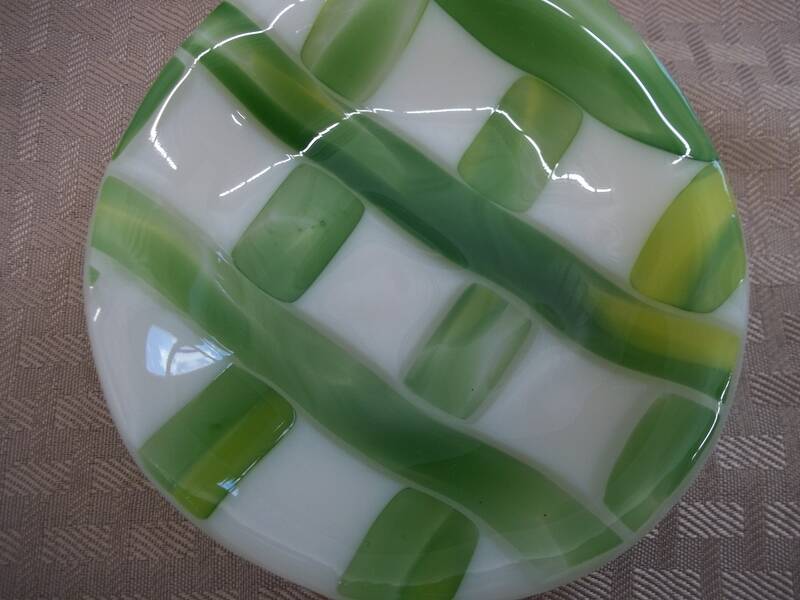 With a cream background and shades of green this piece is done in a lattice design. 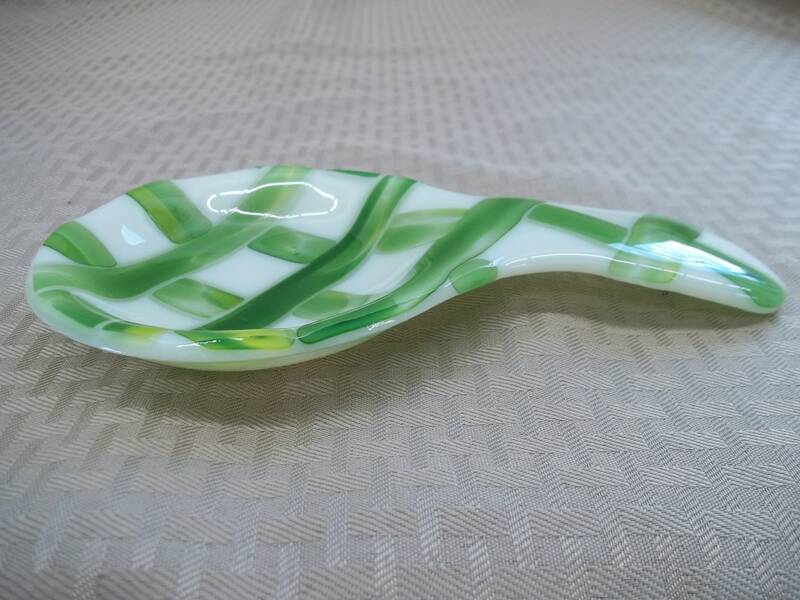 It measures 8" long and the bowl approximately 4 1/2" wide.